Keeping your dog healthy is a top priority for most pet parents. One of the most important things you can do for your dog is to make sure that his vaccinations are up to date. These vaccines help to prepare your dog’s immune system to fight off some common illnesses that can be dangerous and even deadly. North Carolina requires that any dog over four months of age has rabies shot. This shot is given once per year or once every three years, depending on what type of vaccine the dog receives. Puppies and dog who receive the first dose of the vaccine will only be able to get a one-year dosage. After that, pet parents can opt to have the dog receive a three-year dosage. This is one of the dog vaccines that must be kept up to date without fail or you and your dog might face consequences. Besides the rabies shot, there are other vaccines that dogs should receive. These vaccinations are divided into two categories: core and non-core. The core vaccines are ones that are recommended for all dogs. 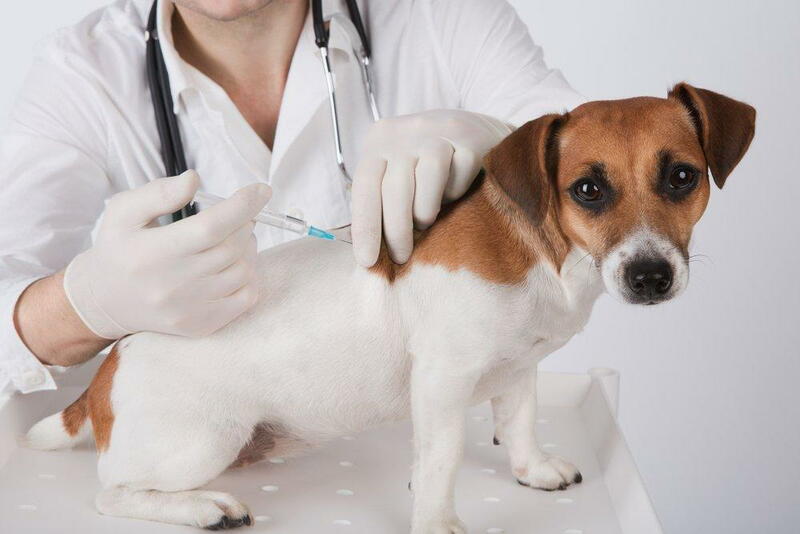 Non-core vaccines are recommended by a veterinarian depending on the exposures and risks of specific dogs and locations. Canine hepatitis, distemper, and canine parvovirus are three out of four core vaccines with rabies being the fourth. These must be given on a set schedule starting when the dog is still a puppy. Non-core vaccinations include leptospira, Bordetella, and borrelia burgdorferi. Other vaccinations, such as Lyme disease, might also be recommended. If you have any questions about what vaccinations are appropriate for your dog, ask us. We’ll be glad to help. Our vets at The Animal Hospital at Lake Brandt can work with you to ensure that your dog has these essential vaccinations on time. Call us to schedule your dog’s appointment today.